It’s true that success doesn’t usually fall in our laps, so to speak. 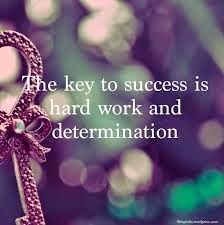 We have to work hard for it—perhaps for decades; perhaps for most of our lives. The good news is that success is the flip side of failure. We cannot have one without the other. We cannot be successful at anything unless we have first “failed” at that activity. This preparation for success (Please note that I didn’t use the word “failure” again) may take any of the following forms: endless practicing, botched rehearsals, imperfectly written manuscripts, or inventions that didn’t work. On the other hand, are any of these setbacks permanent? Not always—unless we allow it. If a certain situation isn’t permanent, shouldn’t we work to change it instead of letting it cloud our vision? I’ve often heard it said that practice makes perfect. The word “practice”, itself, can be described as repeating a certain imperfect activity until it is as perfect as we can make it. Since that is true, can’t it be said that we never stop practicing, since we never reach perfection? I have two examples of how I’ve seen some success by practicing: I didn’t begin as a piano player by playing church hymns as a child. (I’m not Mozart.) Also, I have spent months editing my book and preparing the second edition for publication. What do Famous People Have to say About Success? 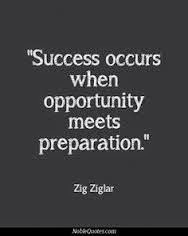 Zig Ziglar, motivational speaker and author, said that it requires preparation; it doesn’t just happen. 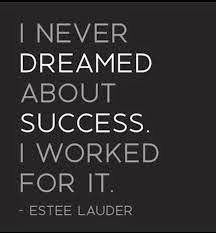 Estee Lauder, skin care and cosmetic giant, said that accomplishment is about hard work, not dreams. 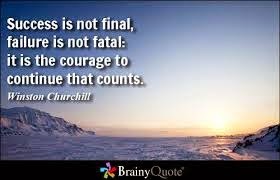 Sir Winston Churchill, Prime Minister of Great Britain during World War II, said that failure isn’t permanent and that we must have the courage to push beyond it. In fact, his is most famously quoted as saying that we should never give up--soon after London had been bombed. 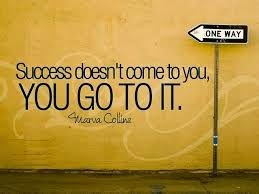 Success doesn’t usually fall conveniently into our laps; far from it! It takes preparation, hard work, and courage. 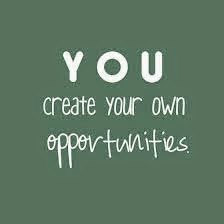 My reasearch of the lives of victorious individuals lead to this conclusion: all steps backward in perceived defeat create opportunities to move forward in a more effective direction. Yet, we must be strong (and wise) enough to push forward. In the end, we can’t borrow strength from anybody else; it has to come from deep within. How have you moved forward through setbacks? If you practice doing a task incorrectly, you get really good and doing it wrong. If you aren't sure how to do something correctly, ask. Get help. You offer good advice in a well written article. FC, thanks so much for your kind comments! I humbly appreciate your support! You make a valid point: practicing anything in an incorrect manner isn't much more help than not practicing at all. Those who practice and become successful are those who are humble enough to accept appropriate training in their craft/job.